Koyle Royale ist die Top Linie der reinsortigen Weine der Familie Undurraga. 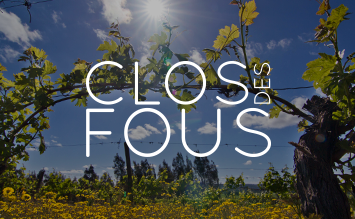 Das Weingut Koyle, dessen Namensgeber eine für die Anbauregion Colchagua typische Pflanze ist, wurde von der Winzerfamilie Undurraga in DO Alto Colchagua nach biodynamischen Prinzip gepflanzt. 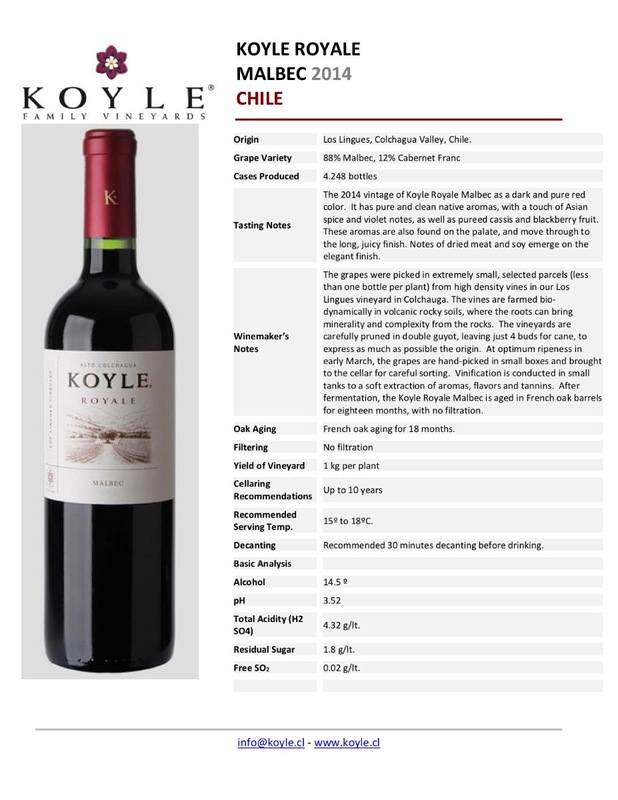 The 2014 vintage of Koyle Royale Malbec as a dark and pure red color. It has pure and clean native aromas, with a touch of Asian spice and violet notes, as well as pureed cassis and blackberry fruit. 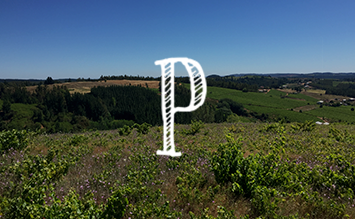 These aromas are also found on the palate, and move through to the long, juicy finish. Notes of dried meat and soy emerge on the elegant finish. 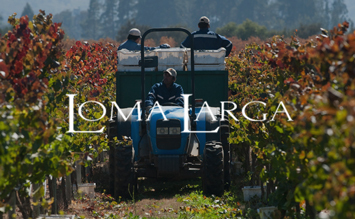 The grapes were picked in extremely small, selected parcels (less than one bottle per plant) from high density vines in our Los Lingues vineyard in Colchauga. 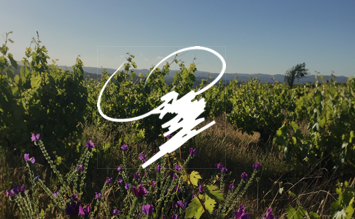 The vines are farmed bio-dynamically in volcanicrocky soils, where the roots can bring minerality and complexity from the rocks. 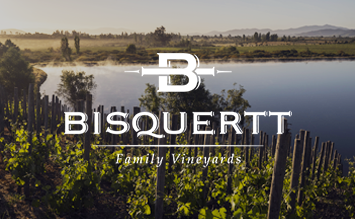 The vineyards are carefully pruned in double guyot, leaving just 4 buds for cane, to express as much as possible the origin. At optimum ripeness in early March, the grapes are hand - picked in small boxes and broughtto the cellar for careful sorting. 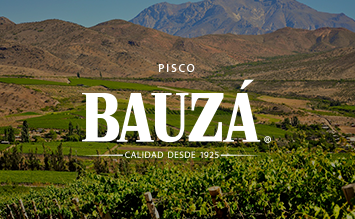 Vinification is conducted in small tanks to a soft extraction of aromas, flavors and tannins. 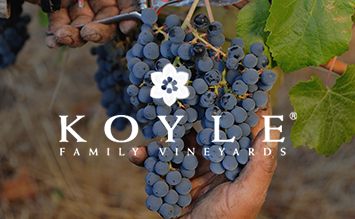 After fermentation, the Koyle Royale Malbec is aged in French oak barrels for eighteen months, with no filtration.